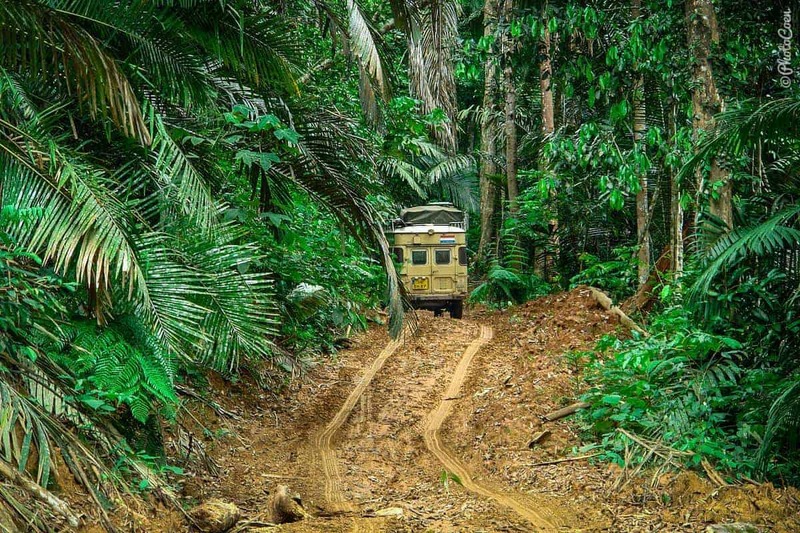 This is part 1 of a 4-series story the question whether a 4WD is a must for overland travel. Here are part 2, part 3, and part 4. Are you preparing for an overland journey to Asia and do you want to know if your rig is equipped for that? Or maybe you are going to buy a truck for this adventure? Do You Need a 4WD for Asia? Short answer: No, you don’t. 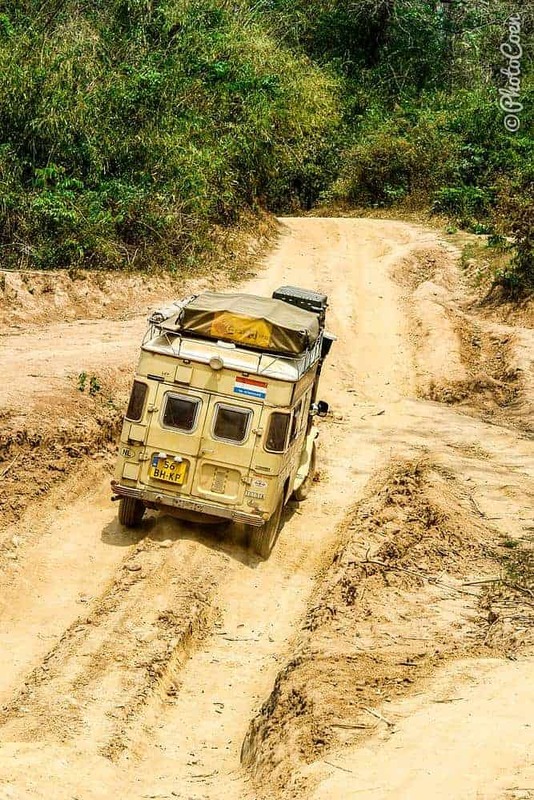 There is a paved road all the way from Europe to the most eastern point in Vietnam. There is no need to hit one single unpaved road. Does that mean a 4WD is useless? No, it doesn’t. 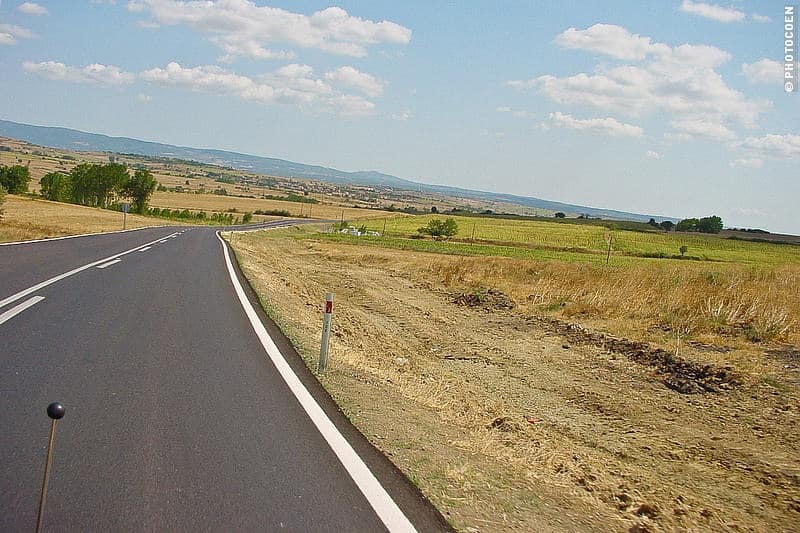 Rest assured, if you want, you can enjoy your share of potholed rough tracks and quagmires. So don’t ditch the idea of driving a sturdy Land Cruiser or Land Rover just yet. I don’t know yet how the northern route via Russia and the Stans is. We’ll be driving this in 2018 so stay tuned. UPDATE 2018: Here are our stories on Russia. 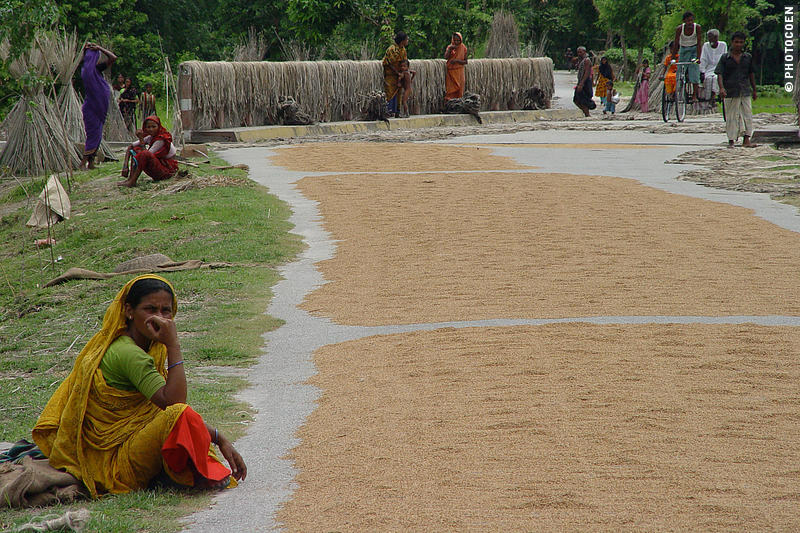 When I am talking about a fully asphalted route, I am talking about the southern route, so to speak. It runs from Europe to Turkey, Iran, the subcontinent, and Southeast Asia. We drove this route from 2003-2006. You will have a great, beautiful journey with lots of sights along the way and, depending on the country, you will find beautiful places to rough camp. You can do this with any overland vehicle you like. 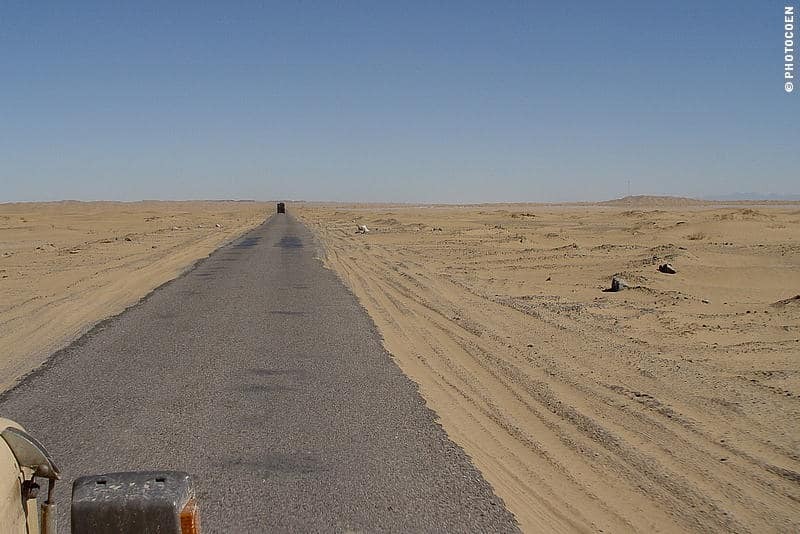 Asphalt in Pakistan, straight through the Baluchistan Desert. On the other hand, if you do like to get off-the-beaten track, you may want – but don’t need – to consider another rig. Again, it is by no means a necessity. It may require a bit more of planning around climates. E.g. 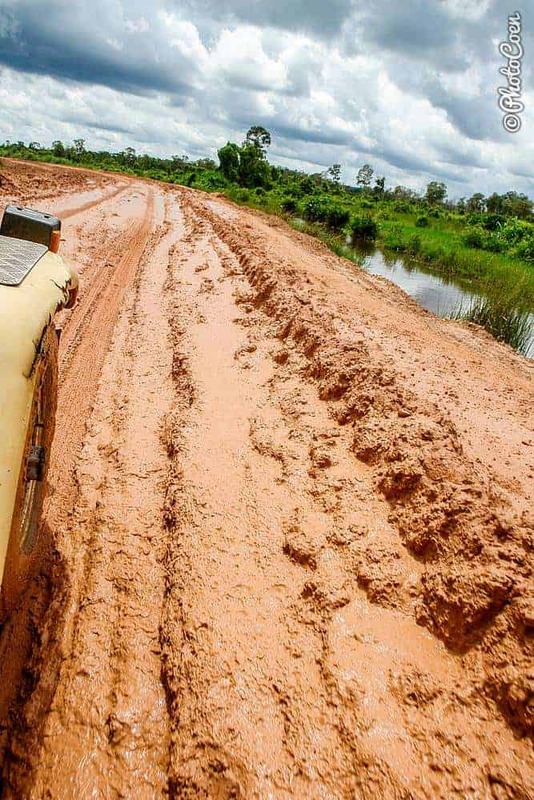 when you drive in the dry season, you may get a lot of dust but the chances of getting stuck are minimal. Off course, the Rainforest Challenge in Malaysia is only about mud. 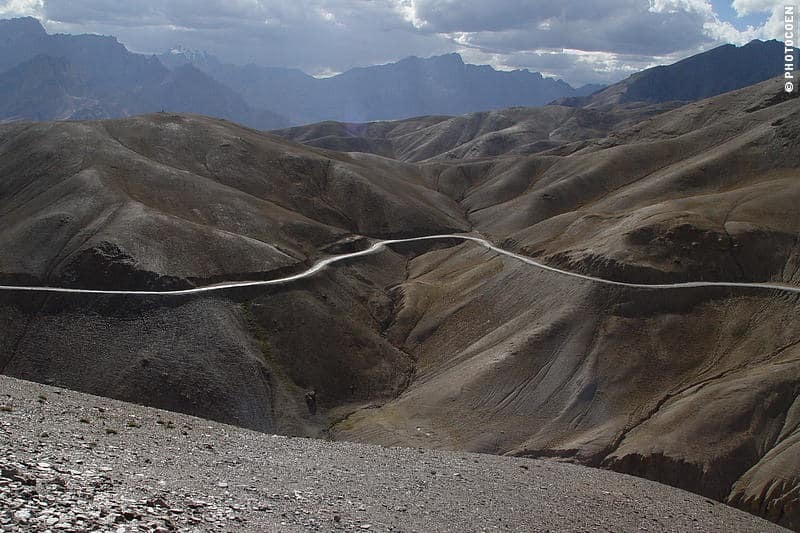 We regularly left the asphalted roads and searched for trails in deserts, forests, and mountains. And found them. Not everywhere, but enough to give an added sense of our already adventurous journey. Because the Land Cruiser has that 4WD option, we dare driving deeper into that forest or desert. We have something to rely on to maximize the chances of getting unstuck. To read about what recovery gear we carry. 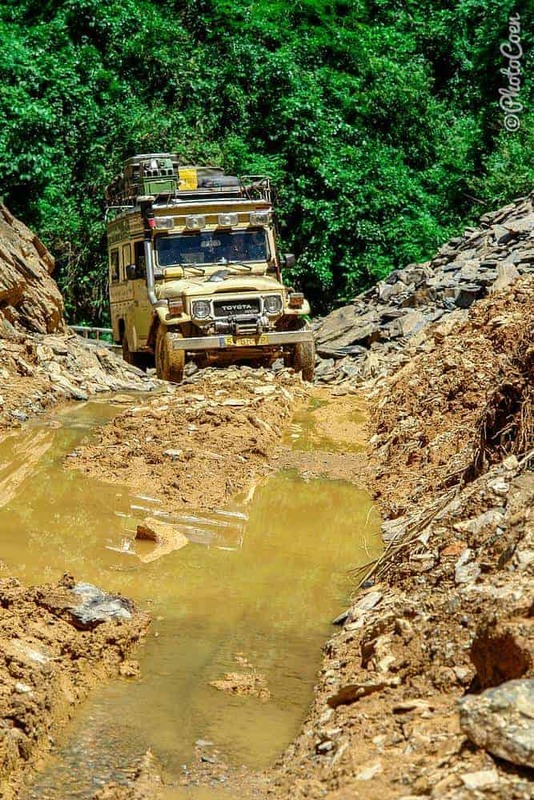 We used the 4WD on muddy trails in Greek’s forest, to exit a meadow in Turkey that overnight had turned into a quagmire because of a rainstorm, conquered tricky mountainous hills in north Pakistan, and fishtailed through muddy stretches in Cambodia, Laos, Malaysia, and Vietnam. Our one-day 4×4 Off-road Training in the Netherlands has been a great help in this respect. The four-wheel drive has been convenient a couple of times, but, more importantly, the high clearance of our Land Cruiser proved invaluable. The pictures below speak for themselves. 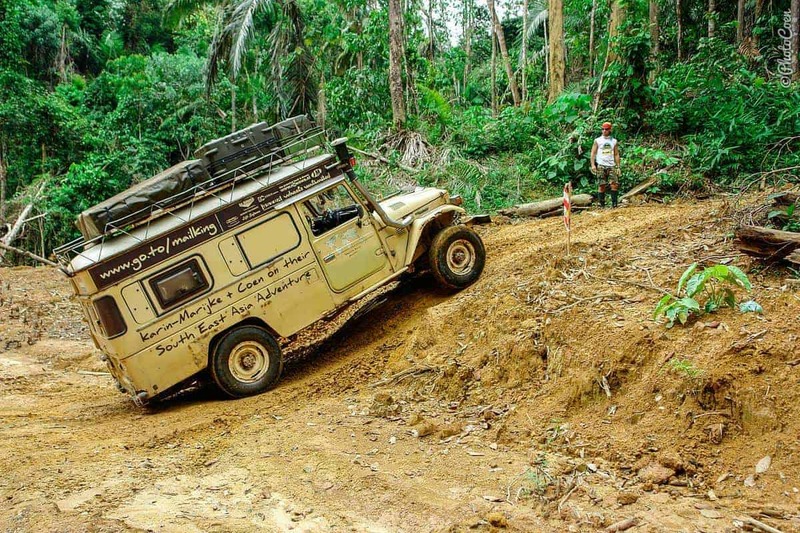 Read More: Doing a 4×4 Off-Road Training, or Not? 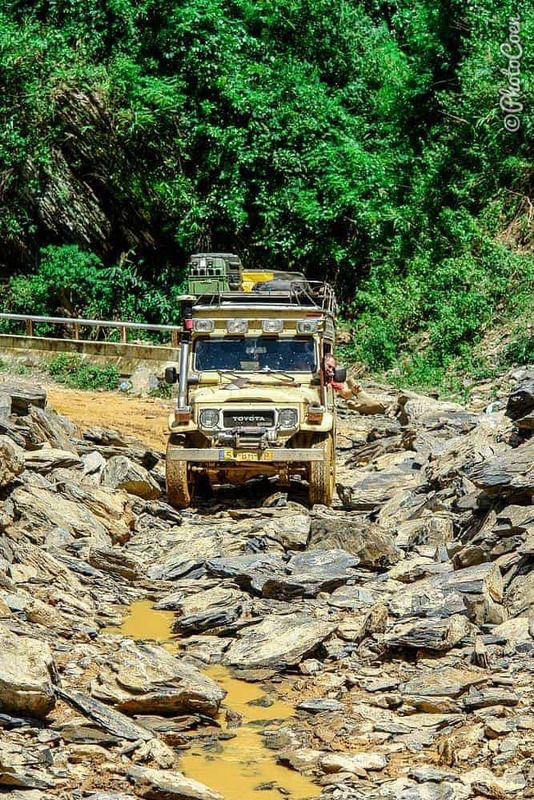 When crossing a rockslide in Vietnam, the high clearance was very helpful. From rock the road turned mud. Dry season on the Ho Chi Minh Trail. It’s hard to see here how deep the ruts were, but without the high clearance we would have had a problem. Pakistan was Land Cruiser paradise because they had many old Land Cruisers. The cities of Peshawar and Rawalpindi were perfect places to get our car fixed. In India are many Toyota garages, however, the majority of the cars are modern ones (from 2000 onward). Finding spare parts for our 1984 Land Cruiser was a challenge. The persistence of Coen and mechanics, combined with a high level of creativity (e.g. making a new part), generally generated a solution. Malaysia and Thailand both had their share of Toyota garages and in Cambodia (Phnom Penh) a Land Rover mechanic helped Coen with some much needed TLC for the Land Cruisers. Do you agree? What are your experiences? Please share them with us in the comment section below. Thanks! Why Travel with a Rooftop Tent – Which RTT to Buy, and Why? I build a Honda Transalp motorcycle who I used for a journey to Russia this summer, build it for going offroad. But on all other bad roads, and it was really bad roads, we meet the locals in their 2wd old Ladas and other regular cars.. It would be really nice to have a 4wd truck with good clearance there, but necessary? I don’t think so. I don’t think 4wd is a must, but a good clearance would be very welcome. Like you say the old Ladas and others likely to have a better clearance in the back due to leafsprings. That’s what we see here in the rural area’s of South America where the old Toyota hatchbacks with leafsprings rule the road.